Landscapes provide families with places to enjoy countless activities and form a tight bond. Accordingly, a well-arranged and aesthetically pleasing garden can give you space to relax, play fun outdoor games, or host weekend barbecues for friends and business associates. When done by landscaping professionals, the attractiveness and value of the property will also dramatically improve. And if you are looking for a contractor who can provide all these benefits, call us at Gilgert’s Landscaping. Some of the major areas that we serve include Modesto, Ripon, and Turlock, CA. These are places that combine the conveniences of large cities with the friendly feel of small towns. This friendliness, along with the good weather, is what makes our beautifully landscaped properties popular in these locations. At Gilgert’s Landscaping, we always follow the fundamental principles in landscape design. We believe that mastery of these principles is what separates landscaping experts from the rest of the competition. We also believe that these principles mean nothing unless they are used to create the design that will suit the tastes and needs of the client. In this regard, each of our customers is attended to by experienced personnel who bring out the best features out of our clients’ properties. They also transform these properties into truly functional areas. Our expert people do everything possible to enhance the aesthetic and commercial value of clients’ properties and to expand their living and entertainment spaces. For the past two decades, our clients in Turlock and other California areas have seen that we can be relied on to create beautiful environments with our customized landscape designs. When you hire us, your needs and desires will be incorporated in the final design plan regardless of the size and complexity of the landscaping project. Our thorough planning helps homeowners avoid reinstallation and rework because we make doubly sure that structures such as gazebos, walkways, decks, and ponds are positioned where they should be. We discipline ourselves to complete our work in time because we know how much landscaping work can disturb the routine of our clients. Accordingly, we will make sure that your outdoor space will be used well for your satisfaction. You can trust us not to fill your landscape with non-essentials just so we can charge a higher fee. The landscape installation phase is very crucial since it is when the foundation of your landscape is set up. Corrective measures are established where they are needed, drainage is ensured, topsoil is laid out where it should be, and walkways, as well as paths, are paved accordingly. Additionally, connections for electricity and water are provided for, and all the elements of your garden are set in place. This is a very important stage in landscaping because it determines how sustainable your resulting environment will be. Top quality landscape installation means using only fertile soil that can sustain your plants; it also means selecting only species and varieties that will thrive in harmony with all the other elements of your garden. 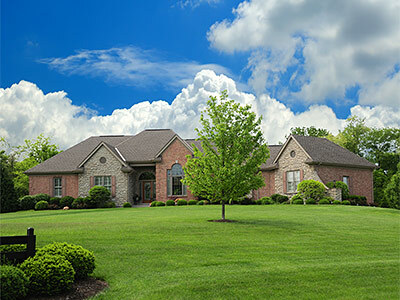 With very reasonable maintenance, your shrubs, trees, annuals, and perennials will give you, your family, and guests a visual feast throughout the different seasons of the year. Through the years, we have served many satisfied clients in Modesto, Ripon, and Turlock. And if you want to enjoy the luxury of having a personalized landscape, just call us at (209) 656-0431. 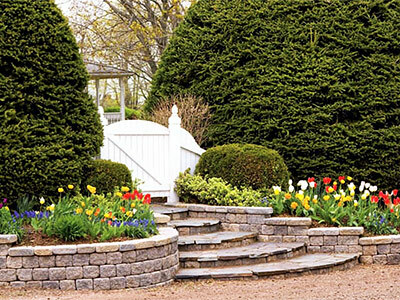 We’ll be happy to translate your ideas into a one-of-a-kind landscape worthy of admiration.